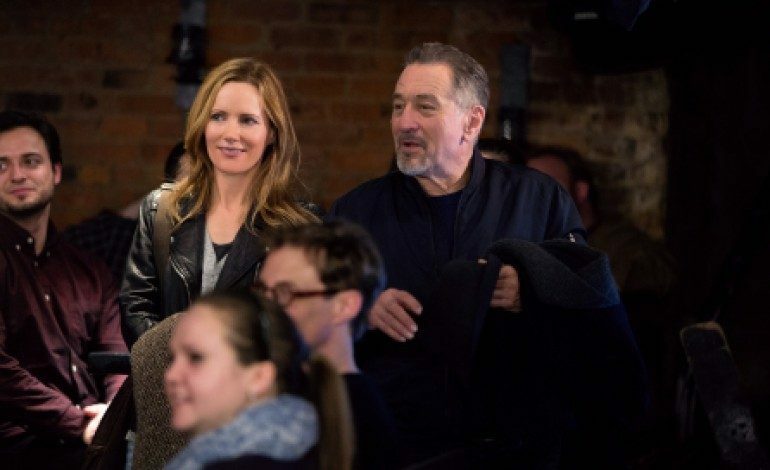 Sony Pictures Classics has set the release date of February 3rd for The Comedian, starring Academy Award winning actor Robert De Niro (The Intern). The film has been a long-time passion project for De Niro. Leslie Mann (How to be Single), Edie Falco (TV’s Nurse Jackie), Harvey Keitel (Youth), Danny DeVito (City of Sin), Patti LuPone (TV’s Penny Dreadful), and Billy Crystal (Monster University) are also in the cast. Taylor Hackford (Proof of Life) helmed from Art Linson’s script. Hackford, Linson, John Linson, Mark Canton, and Courtney Solomon produced. Among the executive producers are Cinelou’s Scott Karol, the Fyzz Facility’s Wayne Marc Godfrey and Robert Jones, Mad Riot Entertainment’s Mark Axelowitz and Lawrence Smith. The story follows a comic of the insulting type (a la real-life comedian Don Rickles) who is forced to serve community service after accosting a member of the audience. While doing service, he meets Mann’s character, the daughter of a Florida real estate mogul (Keitel). The film premiered at the AFI Fest in November and is scheduled to close the Palm Springs Film Festival on January 15th.